Do you want to have a terrific night out? Skim through our carefully selected list of Nightclubs in Budapest ! Clubs and bars, ruin pubs are abound in Budapest, however to really enjoy nightlife, you’d better gather some information to choose the right place or places that appeal to your musical or other preferences. The spectrum of Budapest nightclubs runs from trendy clubs with star DJ-s, to jazz, rock and roll, Latin music, striptease, gay and lesbian clubs. Admission to most Budapest music clubs is free, some ask 1 000 – 1 500 HUF/3 – 5 EUR entrance fee, especially if famous star DJ-s or bands perform. You most be 18 to be served alcohol. Contact us if you have anything to tell us about a nightclub, let it be a complaint or a nice experience. district VII., especially Kazinczy Street with its many ruin and garden bars. or the try the clubs in district V., downtown Budapest. These areas have plenty places of entertainment, from dance clubs, pubs to cozy cafés. See more on downtown Budapest districts. TIP: Please read also our guide to nightlife in Budapest which includes safety tips, and a list of places that you should avoid (bars and clubs aiming at ripping off tourists). Knowing which places to avoid will save you money and trouble, and ensures that you’ll leave Budapest with pleasant memories. Read also travellers’ night club stories, reviews and comments. 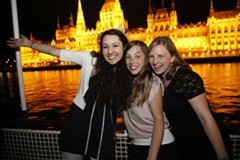 How about Partying on the Danube on the deck of a sightseeing boat? Enjoy nightlife in Budapest, and see the best views of the city illuminated at night. Drinks, sightseeing cruise, and dancing for an awesome night out in this beautiful city. Date & Time: Saturdays in April and Fridays, Saturdays at 23.00 from May till end of October. 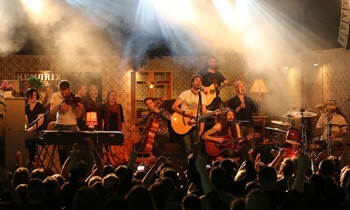 Tickets: 16 EUR (incl. a welcome drink). 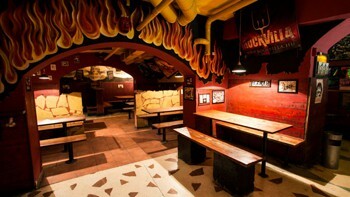 A popular rock club in the center of Budapest, in district VI. Address: Fehérvári út 202., district XI. (Újbuda) night bus service No. 973 or tram 49. A very prestigious rock club in Budapest. It’s a bit far from the city center. Latin dance lessons every Saturday before the party. A simple, lovely club definitely not for snobs. Salsa parties on Saturdays. Entrance fee: 1 000 HUF. 1920’s of America atmosphere. Live music every night (except Sunday) from 19.00 by the famous Cotton Club Jazz Band. Restaurant serves Hungarian and seafood specialties. Restaurant with music, pub, quiet dining room, banquet room. 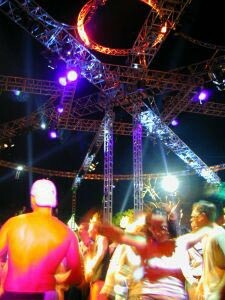 Alcatraz is a one the few clubs that still operates after its opening in 1999. The interior design evokes the ambience of the famous US prison island. the busier forefront near the stage for partying. Unpretentious, cheerful ambience, moderately priced drinks make this place very trendy. A wide selection of hard drinks are available from around 800-1 000 HUF/3 cl shot: whiskey, tequila, an authentic Hungarian hard liqueur: pálinka, Unicum- another local favorite. A mug of draught beer is 500-800 HUF, a glass of local wine (1 dl Frittman, Feind) 300 HUF. Alcohol-free beverages you’ll find on the menu include mineral water: 350 HUF a small bottle, coffee, tea from 450 HUF, soda drinks, some fruit juices. Taste South-American cuisine while listening to live music. Their Draught Budweiser is really tempting. One of the best places to enjoy live music: jazz, soul, blues nights. Very popular with both locals and expats, so be prepared that it’s usually packed. Reserve a table if you want a good night there. Restaurant serves hearty dishes. Live music, concerts (jazz, blues, Latin rock) even on Monday. Very popular, prepare for crowd. If you want to eat it’s best to reserve a table. A fave bar in the city centre designed around the theme of the “szóda” drink (about which the place got its name). You can have a cup of coffee, soda drink, or pálinka (Hungarian fruit distillate) if you long for something stronger than caffeine, or dance till dawn in the basement club area. A hip club in Budapest city centre: 3 rooms, 3 bars affordable, but high standard new club. Popular meeting place of university students. 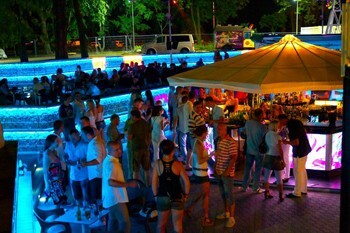 A spacious, hip club in central Budapest with outdoor terrace. Concerts at weekend evenings followed by a party. Great variety of drinks, cocktails. The restaurant offers bistro style food. MIX is the place to be seen in Budapest. Barba Negra Track is one of the most popular outdoor party places in Budapest. 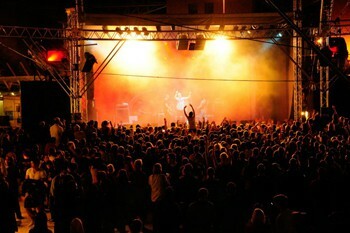 Concerts, all kinds of music and cultural events. 2 stages, 2 DJ-s 2 music styles every night and cheap beer from plastic cups. Fancy place, lots of Latin music, more expensive than Barba Negra Track. 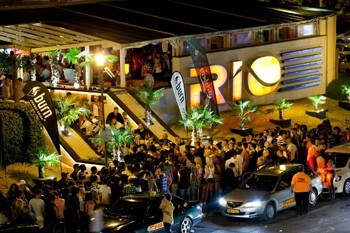 This stylish open-air club opened in September 2011 in a large park in distrcit X. Three indoor dance areas, a spacious outdoor dance area, fine cocktails and other drinks, a terrace in the summer season ensures a fantastic night in Budapest. Another great place in natural settings on the island where the famous Budapest Sziget Festival takes place every August. TIP: There are a couple of great outdoor bars on Margaret Island (Margit sziget): Zippp Club at the southern end of the island opened in 2014 with 2 dance floors and 3 bars. Open: Wednesday to Saturday from 20.00 till 05.00. 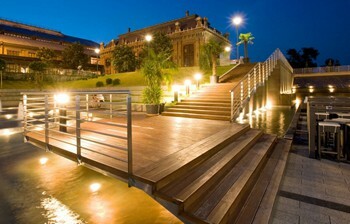 One of the best venues to enjoy a warm summer night in Budapest. 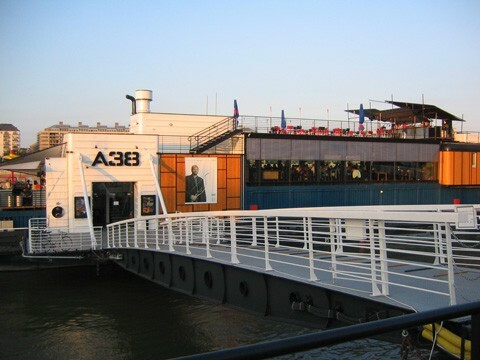 A former Ukraine ship converted into a four-storey cultural and concert center. Includes a first-class restaurant with excellent wine offer, and two outdoor bars, a roof terrace to enjoy in summer. Live concerts throughout the year ranging from jazz, rock, contemporary music.